Is it better to be smart or intelligent? Can anyone be both? This is a question that could be easily answered by someone who knows what the difference between smart and intelligent is. If you are not this person yet, keep reading and we can find out together. Let us see what makes a person smart and what makes someone intelligent. Smart describes a person who makes the right choices and who acts the right way with regard to a specific purpose. It is an attitude a person can adopt and a status one can work hard to achieve. A person can become smart or smarten up by applying what information they have acquired so far or by learning from personal experiences. The word’s meaning involves a certain level of practicality and a generally accepted notion of smartness: everybody appreciates a smart person and the good decisions taken. Therefore, being one of the things people can notice about an individual, it is a highly subjective and non-measurable trait. 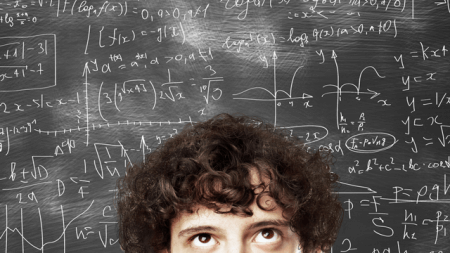 Intelligence is a trait people are born with, and it can be measured based on IQ tests. By definition, intelligence is the capacity of a person to acquire information and process it. Some highly intellectual works cannot be understood by everyone. This also makes it less practical. The difference between being smart and being intelligent matters in accordance to the environment you live in. If you work in an academic department or in research and anything science related, you need to be intelligent. These are fields where the constant acquisition of information is vital. All other fields of activity need you to be smart. Smartness is practical, very applicable, and generally desirable for day-to-day life. Being intelligent is a great trait, but not a very practical one. People diagnosed with psychological conditions making them unable to lead normal social lives (such as some forms of autism and Asperger’s) can have very high IQs and be incapable of applying the acquired information. Being smart implies having the ability to quickly adapt to a situation and make the best of it. This is the origin of the “street smart” expression. It can be applied to people who can read a situation and act accordingly, especially on the streets of a bad neighborhood, where social rules and civil laws may sometimes not apply.